This banner comes standard reading "AHOY MATES", or you may personalize it with a name or word of your choice - up to ten (10) characters. 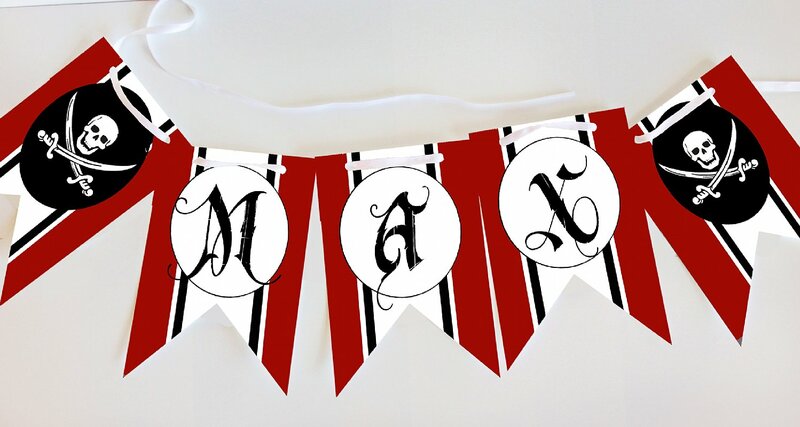 Each individual pennant flag measures approximately 5"x7". Satin ribbon included.